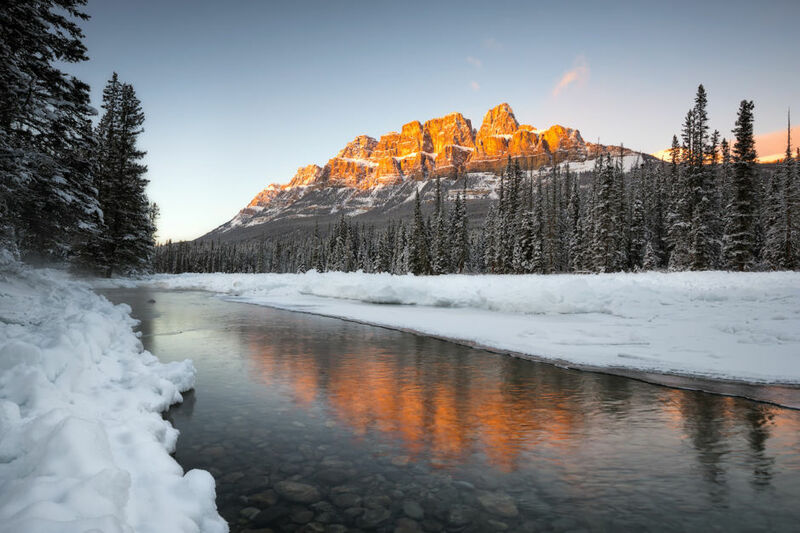 Scientists predict that by 2100, the size of the Canadian Rockies’ glaciers will be only a mere 5% of their current magnificence. 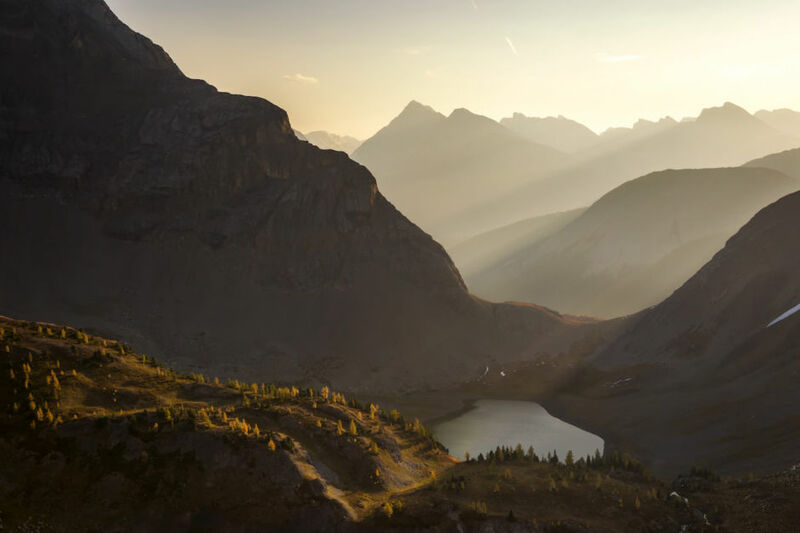 If you delay your trip to the Canadian Rockies by only a few years, the landscape you’ll see may be completely different than the masterpiece that is currently being showcased. 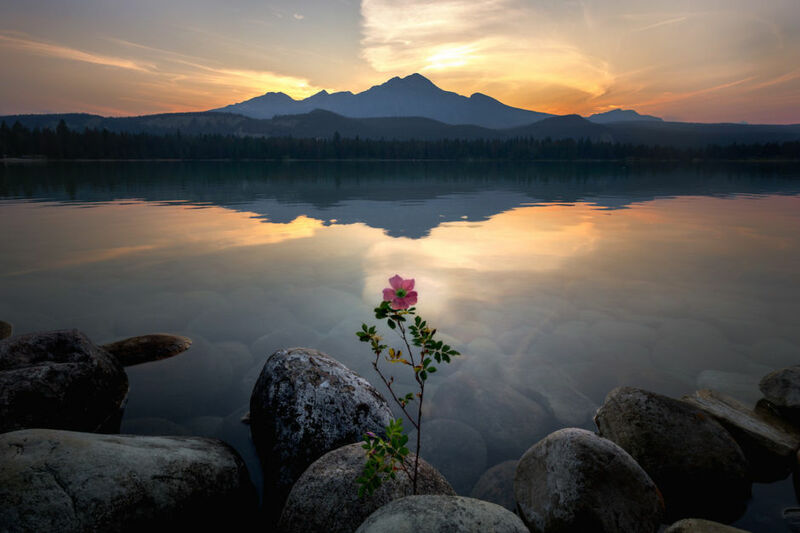 Here are 20 photos of the area taken by Marta Kulesza and Jack Bolshaw from In a Faraway Land that will hopefully inspire you to hurry up and come visit. 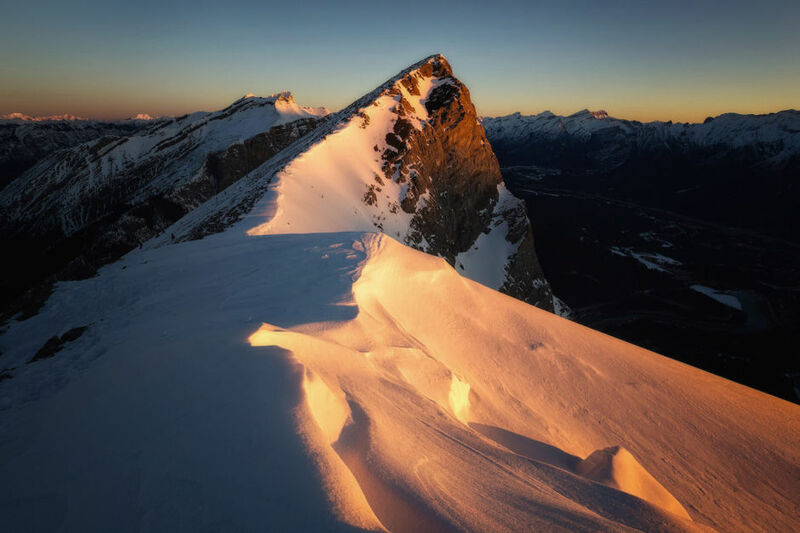 Ha Ling peak was formerly known as China Man’s Peak until it was rightly deemed as culturally inappropriate and offensive. Ironically, it’s located next to White Man’s Pond. This summit is colloquially known as EEOR, pronounced Eeyore, like the A.A Milne character. 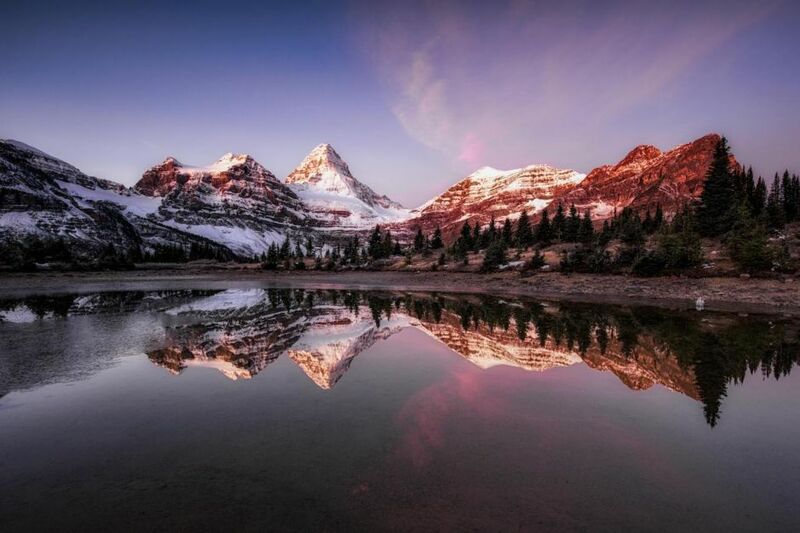 Mount Assiniboine Provincial Park has been described as the Matterhorn of the Canadian Rockies. It’s pretty easy to see why. Ha Ling Peak taken near the summit of Miner’s Peak in Kananaskis Country. 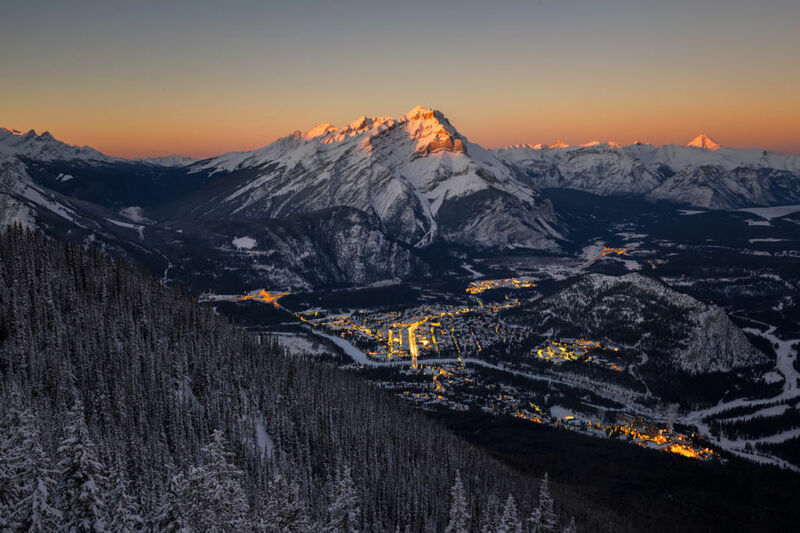 The small mountain town of Banff beneath Cascade Mountain. 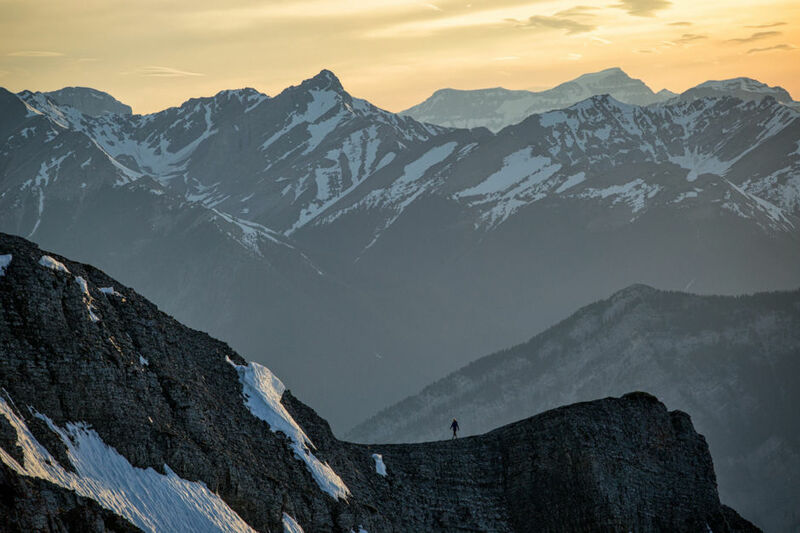 This photo was taken from the Banff Upper Gondola Terminal on Sulphur Mountain. 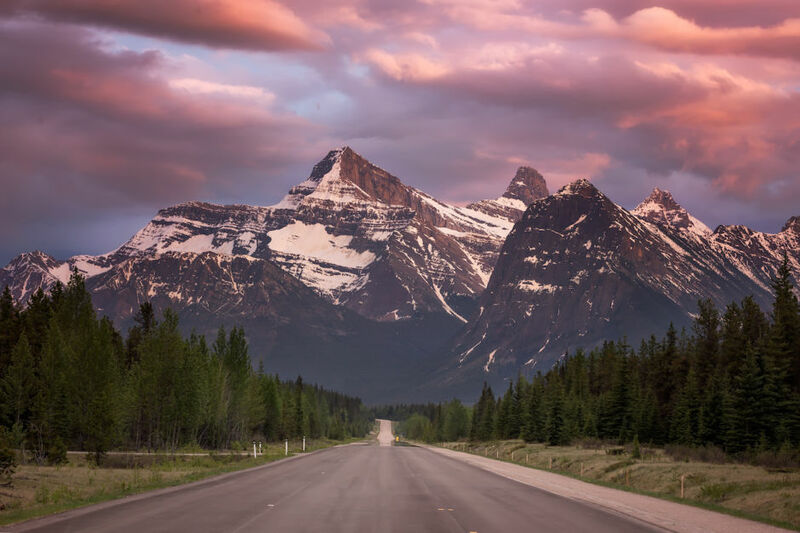 The Icefields Parkway is one of the most scenic roads in Canada. When James Hector was surveying the region in the mid 19th century, he aptly named this fortress-like peak Castle Mountain. 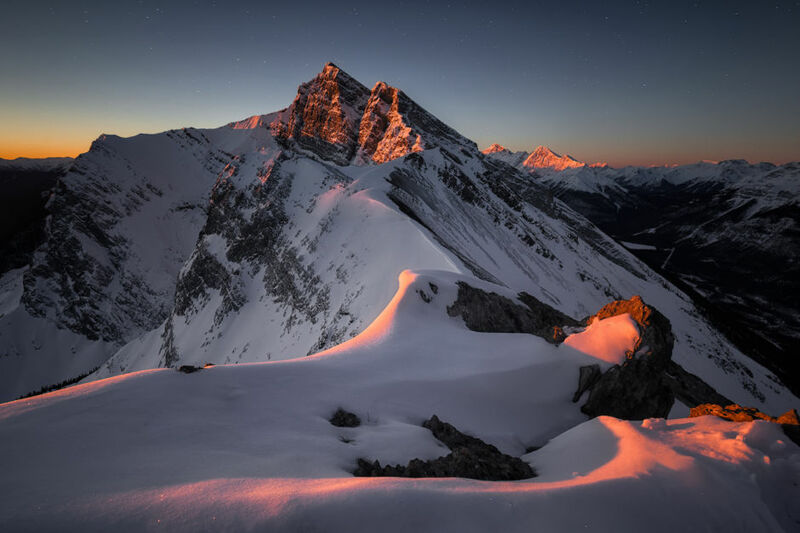 It was renamed to Mount Eisenhower after the Second World War but this name only lasted 23 years before its original English name was restored. 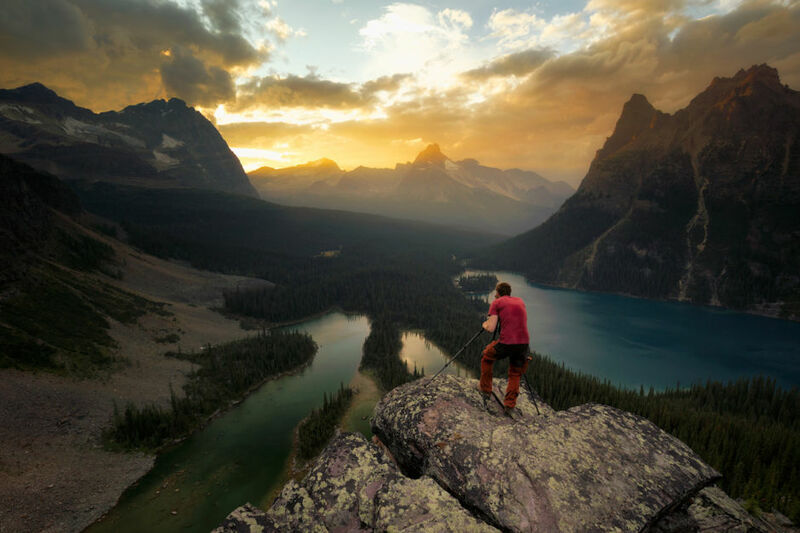 The campsite at Lake O’Hara in Yoho National Park is one of the most sought-after back country experiences in Canada. 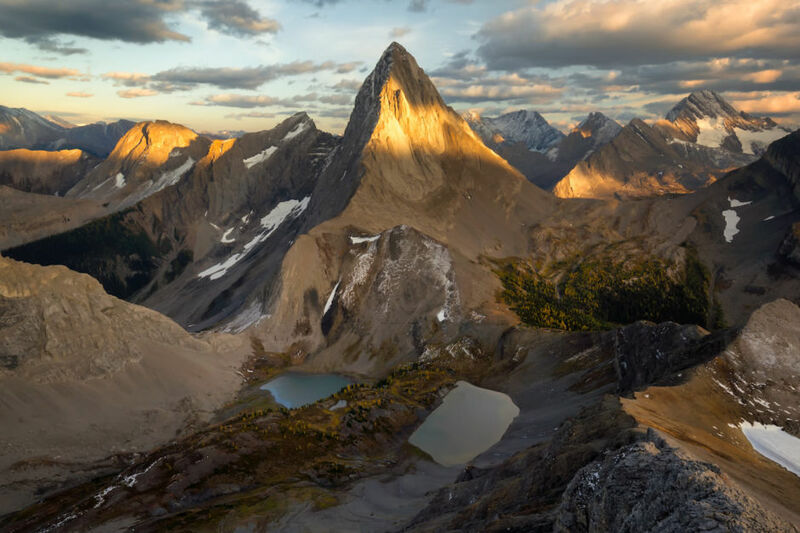 This shot, taken from the Opabin Plateau, showcases its vast array of geographical features. 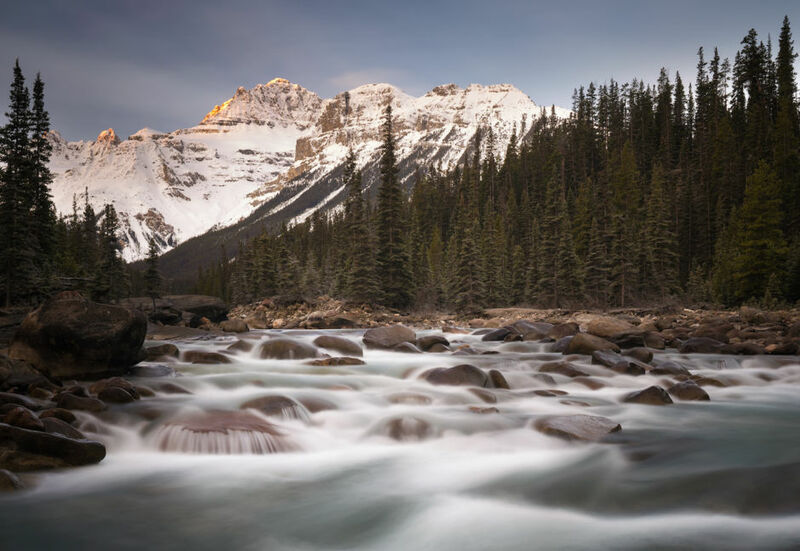 The raging Mistaya River has carved away a great limestone canyon accessible from the Icefields Parkway in Banff National Park. Mount Birdwood above the two Birdwood Lakes taken from the summit of Smutwood Peak at sunrise. 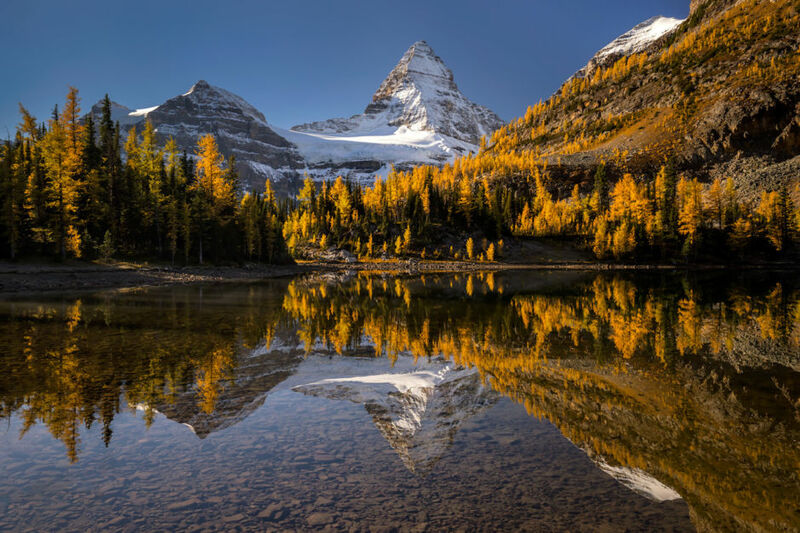 Larch season in the Canadian Rockies comes in September each year and normally last until October. It’s widely considered the most photogenic month of the year. 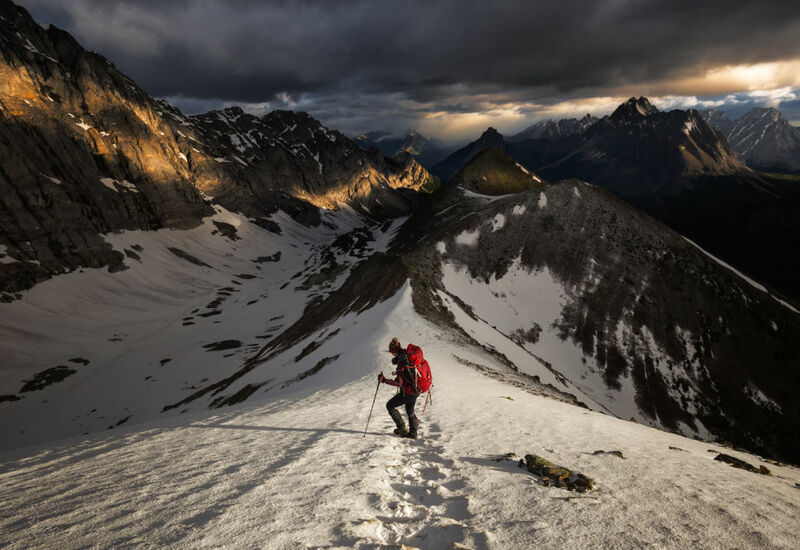 The Pocaterra Ridge Trail is a relocation hike south in Kananaskis Country. When the conditions are this foggy, the commercial cruises do not operate. So, if you have the time and the energy you can have this place all to yourself. 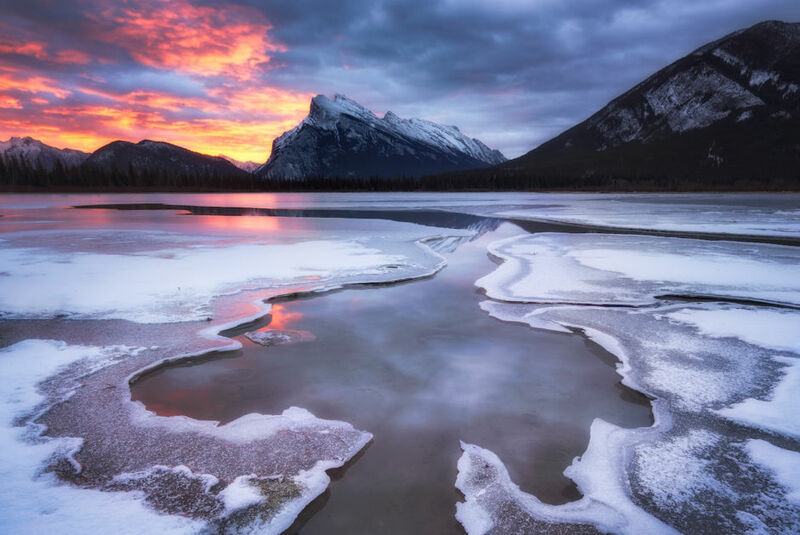 The three Vermillion Lakes are only 5 minutes away from Banff. As they have some geothermal activity, there are certain places that don’t freeze all year. Ice formations like this one are a spectacular sight from November until April. 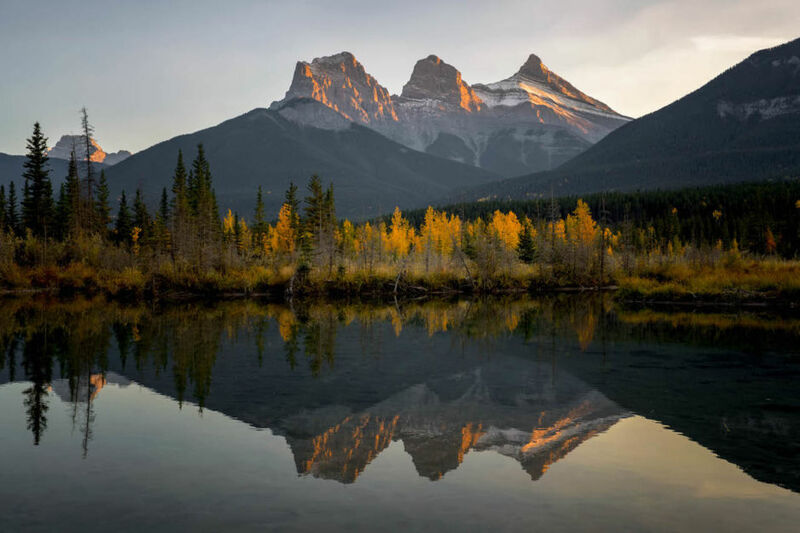 The Three Sisters of Hope, Charity, and Faith, stand prominently over the small mining town of Canmore. Birdwood Col and the Upper Birdwood Lake with Mount Galatea and Fortress Mountain in the background. 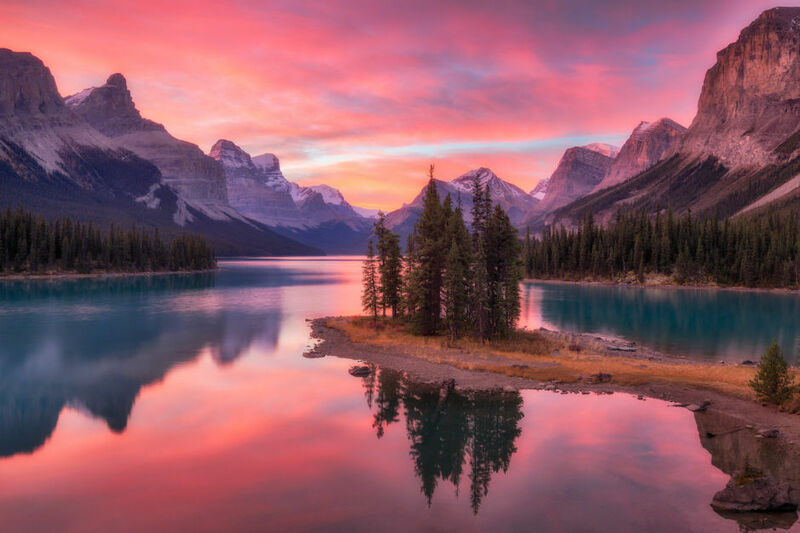 The Berg Lake with Mount Robson towering in the distance. 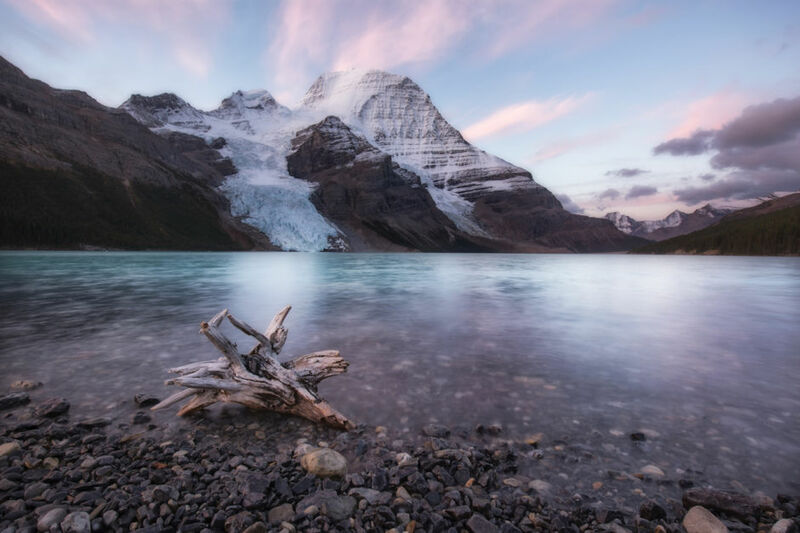 Mount Robson is the highest peak in the Canadian Rockies. 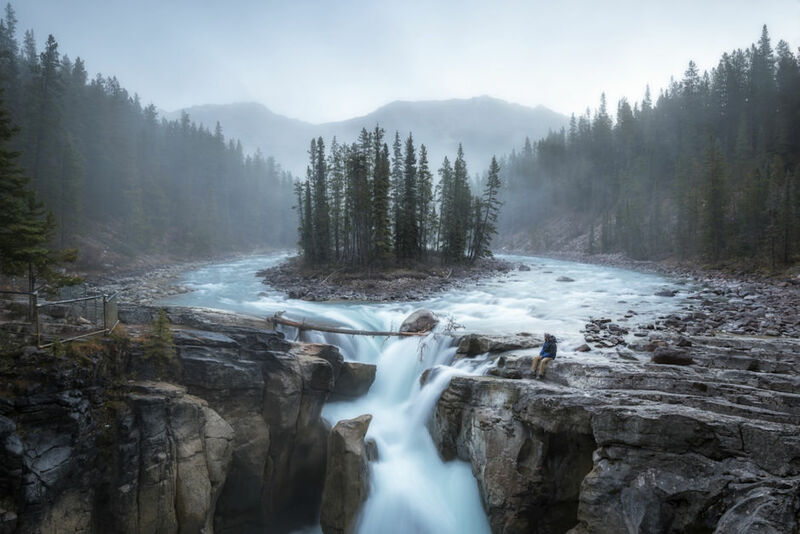 The Upper Sunwapta Falls are a 5-minute downhill walk from the car park on the Icefields Parkway. 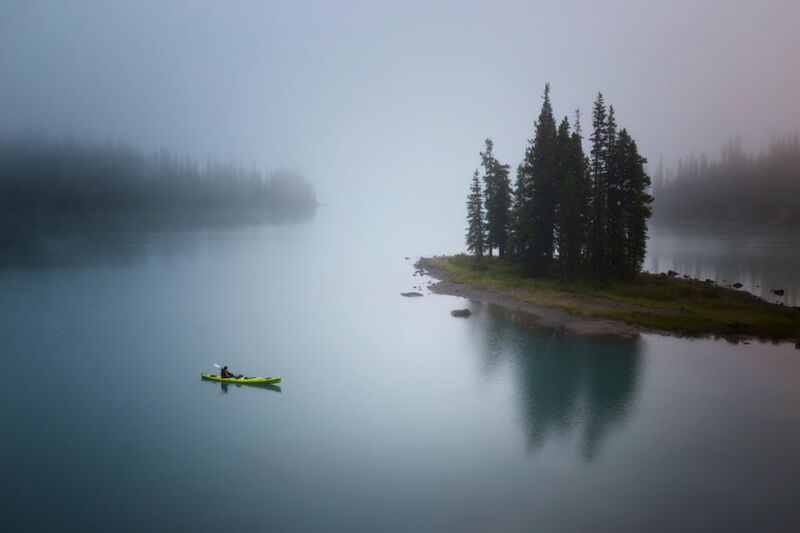 The second photo on this list of Spirit Island but with completely different conditions, with high cloud being struck by the morning sun. It goes to show that just because you’ve been somewhere once, doesn’t mean you shouldn’t go again.